ERCO Worldwide is a chemical production, supply and technology company that was founded more than 100 years ago with expertise in inorganic products and technology used for creating chlorine dioxide. Nowadays, ERCO focuses on sodium chlorite, sodium chlorate, potassium hydroxide and chlorine technology. This chemical company provides production services and chemical supplies to a wide range of industries including specialty chemicals, food, paper and pulp, energy, water treatment, agriculture, fertilizers and airport de-icing. 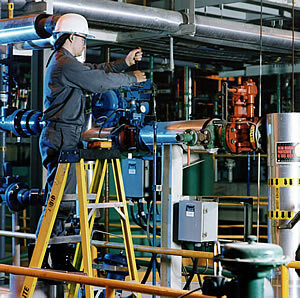 ERCO has the largest base of modernized chlorine dioxide generators in the world, is the second largest sodium chlorate producer in the world (after AkzoNobel) and is the third largest potassium products producer in North America. ERCO Worldwide specializes in several chemical products including caustic soda, chlorine, hydrochloric acid, potassium hydroxide, sodium chlorate and sodium chlorite. The company manufactures all of these chemicals and supplies them to various customers and industries. The chemicals have a wide range of applications, such as industrial, disinfectant, agricultural, fertilizer, water treatment and food additive agents. ERCO works to create these in an environmentally-conscious fashion to ensure ecosystems are protected while providing a quality product to customers. In addition to chemical production, ERCO Worldwide installs sodium chlorate, bleach and chlorine dioxide chemical preparation facilities. The design and installation of the systems includes the engineering design of the facilities, construction assistance and equipment selection and procurement. In addition, ERCO commissions plants and equipment, provides training for operators, performs hazard analyses and safety audits and provides assistance with bleach plant optimization and audits. Plus, the company assists with saltcake integration studies along with the service and supply of spare parts. ERCO Worldwide also offers a number of different chlorine dioxide processes that are already used in more than 100 pulp mills all over the world. All chlorine dioxide processing plants receive guarantees from ERCO in regards to chemical efficiency, product quality and production capacity. The processes are available for a variety of different pulp mills based on their needs such as the reduction of sulfur by-products, sodium chlorate integration and chloride removal. ERCO Worldwide works on developing practices and production methods that are designed to limit the negative impact on the environment. As a supplier and manufacturer of services, technology, and chemicals, ERCO maintains its ethical obligation to the environment while ensuring the sustained growth of the business. Safety is also a top priority and an important concern at ERCO Worldwide. While this company states that its goal is to continue to grow, it also must do so in a manner that is based on strong management of safety. The safety policy at this company states that every incident and accident is completely preventable. In addition, all business activities are conducted with this notion in mind. Through leadership in safety performance, ERCO Worldwide seeks to maintain its position as of the world’s leading chemical companies.